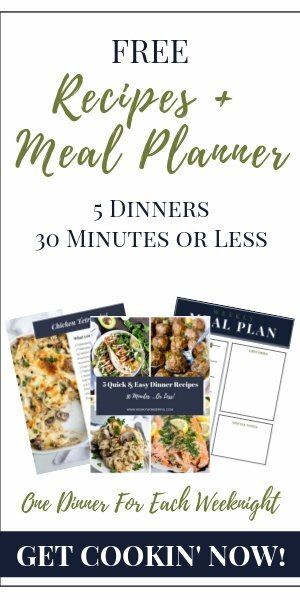 Enjoy your favorite holiday side dish without the guilt. 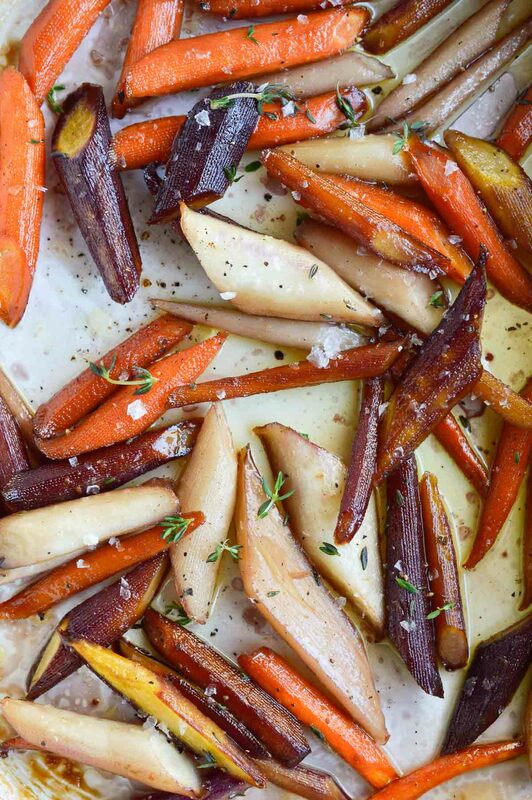 These Healthy Candied Carrots are roasted with olive oil, maple syrup and thyme. 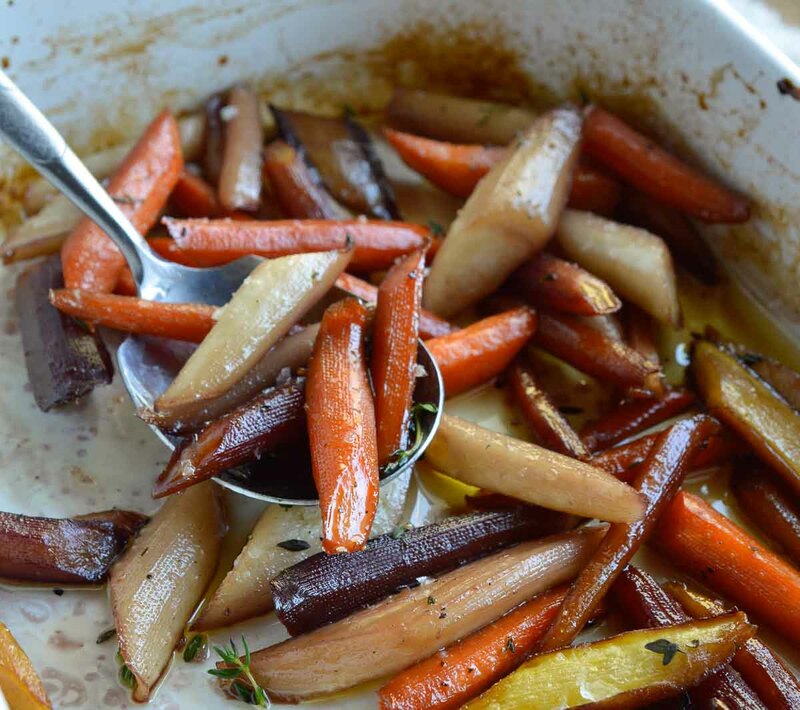 Paleo sweet and salty roasted carrots will be a new family favorite! 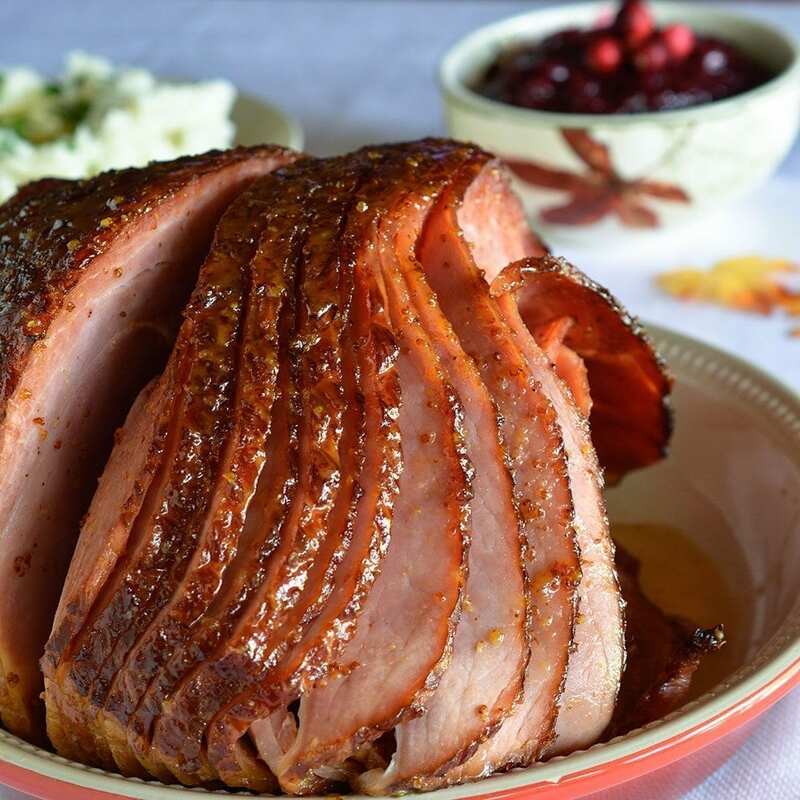 I love the Thanksgiving turkey and ham but the side dishes, those are my favorite part of the meal! 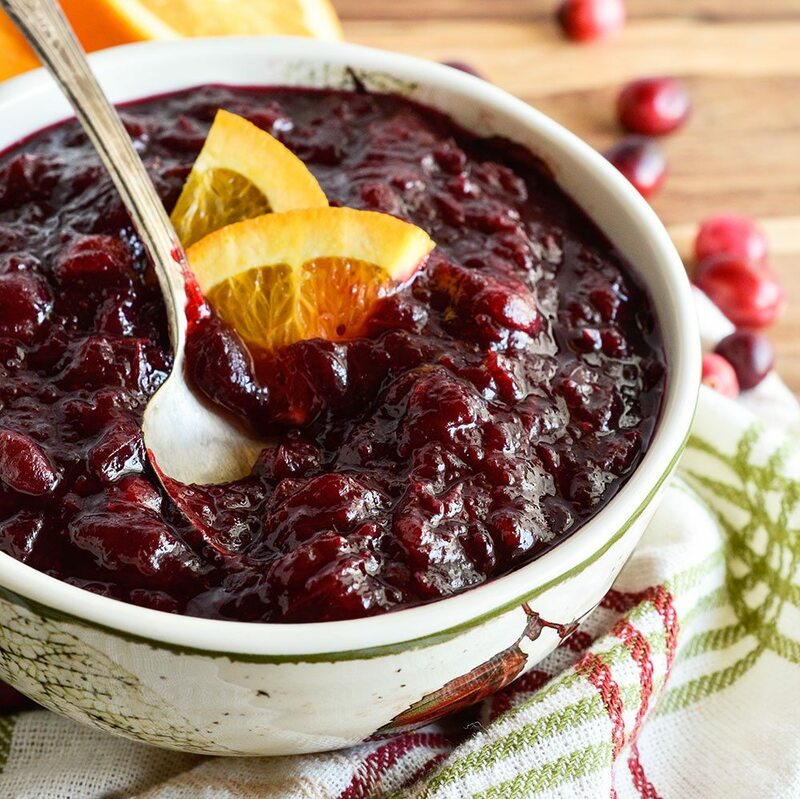 Cranberry sauce, mashed potatoes and candied carrots. . . that is where it’s at. 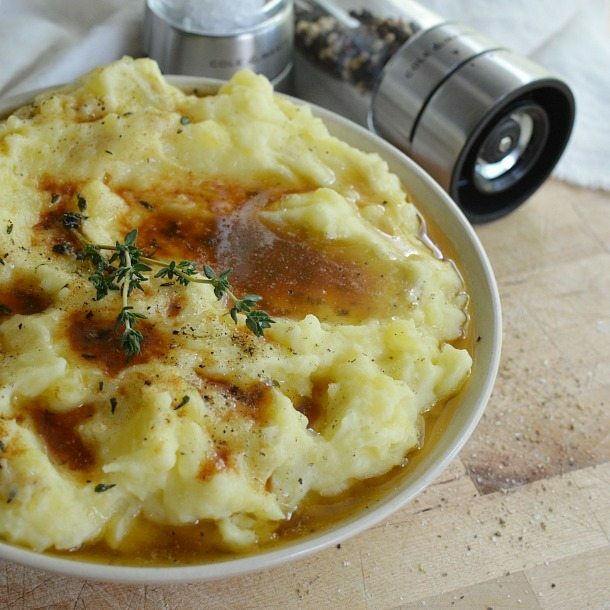 All of my favorite dishes require a stove top or oven for the preparation. You may recall from my Pineapple Honey Glazed Ham post that I am in need of a new oven. And I got my eye on a super shiny and new range. I’m having to hold off on my purchase because I plan on buying a new home in the next year or so and completely decking out the new kitchen. The waiting is torture! 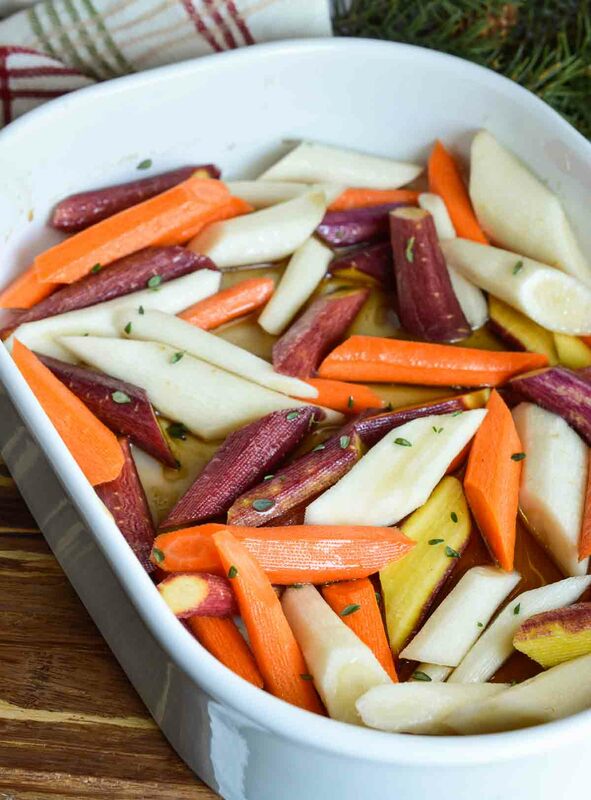 Another thing you don’t have to worry about is making a healthy and flavorful side dish that the entire family will love. Not only do these candied carrots taste amazing but they are vegan too! Isn’t that what it’s all about? Family, food, fun and a stress free holiday feast. 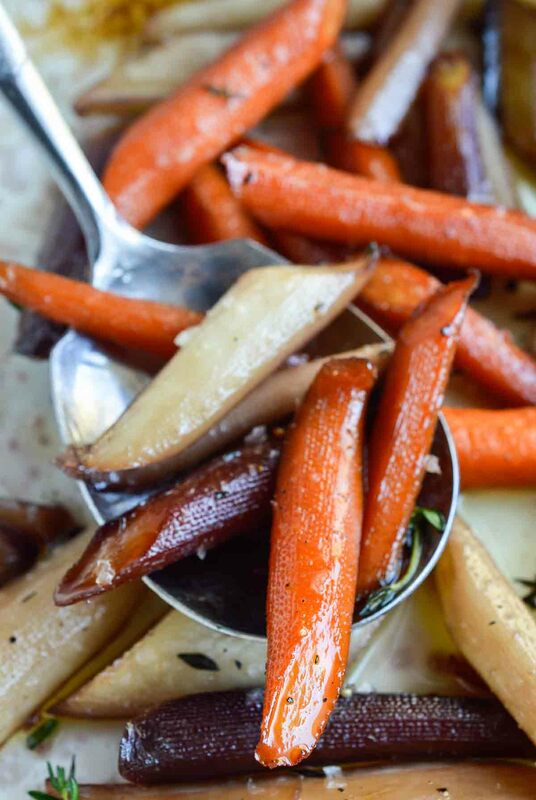 These Healthy Candied Carrots are roasted with olive oil, maple syrup and thyme. 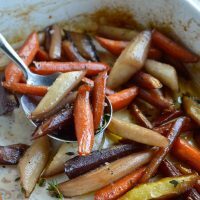 In large baking dish; combine carrots, oil, maple syrup and the leaves from 2 thyme sprigs. Roast for 35-40 minutes or until tender. Cooking time will vary depending on carrot size and thickness. Remove from oven and top with remaining thyme leaves and sea salt. More To Feast Upon. . .